Nothing says Easter quite like a hot cross bun. Traditionally eaten on Good Friday, we now enjoy the tasty, curranty treats for weeks before the Easter holiday as they appear in shops straight after Christmas. Good as the shop bought ones are though, your own home-made version will kick the Easter break off with a delicious treat that will lift them out of the common or garden to the indulgent festive luxury they are meant to be! We are delighted to share this delicious recipe from the kitchens of The Spread Eagle Hotel in West Sussex. Rub the butter into the flour and milk powder, dissolve together the other ingredients and add mix to a smooth dough. Knead in the currants. Leave to prove until doubled in size, divide and roll into balls, place evenly on a baking tray. For the cross mix some flour and water to a thin paste, place into a piping bag and pipe a cross on top of each bun. Leave to prove until double in size, bake in the oven at 180°c for 10-15 minutes. Boil bun wash ingredients together then brush over generously while still piping hot, leave for ten minutes then serve. 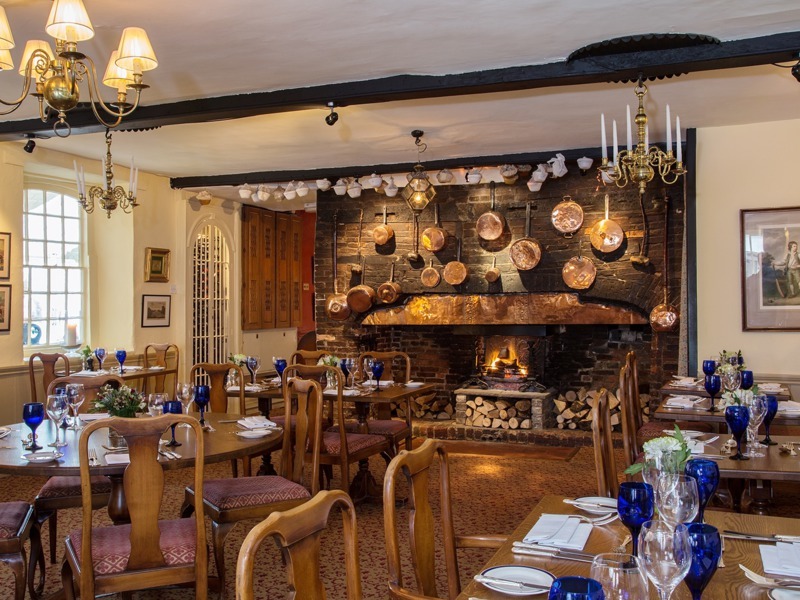 Martin Hadden has been Executive Chef for Historic Sussex Hotels group since 2003, working with the teams to offer everything from an elegant dinner at Ockenden Manor, a cosy supper by the fire at The Spread Eagle to family feast at Bailiffscourt. Richard Cave-Toye has been Head Chef of The Spread Eagle since 2013 having previously worked as Sous-Chef in the restaurant at the turn of the Millenium. Richard’s approach to food is simple but refined with a strong emphasis on Sussex produce and traditional English fare. The Member Club Offer: Member exclusively dines complimentary for lunch and dinner all week (except Saturday) when joined by at least one full paying. Click here for full details.